California has a unique law that gives unlicensed practitioners of alternative medicine free rein to do as they please. SB577 passed in 2002 and was championed by the California Health Freedom Coalition which argued that Californians deserve the right to make informed choices about their health care options. That sounds reasonable, but really, the law is designed to allow woo-woo practitioners such as homeopaths, reiki masters, crystal healers, and Robert O. Young wanna-bes to advertise and provide their health “services” without fear of being prosecuted by the medical board for practicing without a license. The codified premises of the California health freedom law make baby Jesus want to cry. Section 1a states that health care freedom is important because the National Institute of Medicine and New England Journal of Medicine find that complementary and alternative medicine is popular. 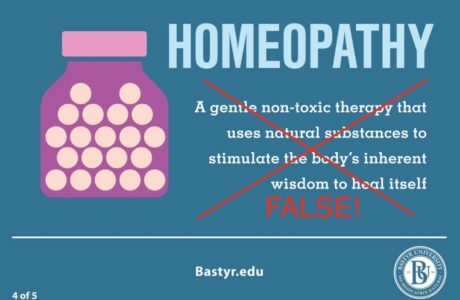 This is one of the most common types of arguments used by advocates of complementary and alternative medicine. This line of reasoning is no different than saying that “treatment X is good because everyone does it,” also known as an appeal to popularity. Section 1b gets even uglier. The law states that complementary and alternative health care practitioners have a proven track record of not causing harm to the public. I think a quick browse of Quackwatch.org at the time SB577 was being considered could have resolutely countered this flimsy claim. Here is but one example of a California woman who chose Gerson therapy instead of the standard treatments for breast cancer; she died in 1999. Here is yet another from 1997. How easily history is forgotten. 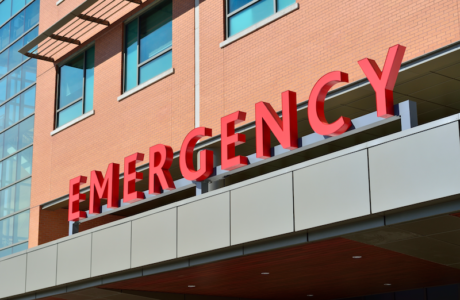 Willfully diagnose and treat a physical or mental condition of any person under circumstances or conditions that cause or create risk of great bodily harm, serious physical or mental illness, or death. If there is not a regulatory board to oversee these practitioners, who decides if their actions cause or create risk of great bodily harm? How can any practitioner who does not have medical training adequately assess the medical condition of a patient? The lack of clarity on this law and its opening up a dangerous loophole in the regulation of medicine in California are really disappointing. Young’s lawyers must have leveraged SB577 to argue that he was merely practicing within the scope of his training from his prestigious alma mater. Given that California’s health freedom law is written so broadly and without any oversight, it is surprising that Young was convicted. Perhaps solid evidence for the act of injecting patients with intravenous preparations convinced the jury to find Young guilty of practicing medicine, as injections are clearly a medical act. In fact, SB577 specifies that any procedure that “punctures the skin” constitutes a medical act. The prosecution got this one. Interestingly, the effectiveness of intravenous baking soda as a cancer treatment is irrelevant to the argument that Young simply performed a medical act in violation of SB577. I am under the impression that the jury would have found him guilty of grand theft if there had been a compelling impeachment of his home-brew “New Biology” and abandonment of human dignity when he took large sums of money from patients in exchange for a useless treatment. The problem here, of course, is that a courtroom is a place where reliable expert witnesses have the same footing as pseudoscientific cranks. I find it hard to believe a dozen jurors would have similar levels of scientific understanding and critical thinking skills, not to mention a good number lacking basic concepts. A few jurors in Young’s trial reported that the two-week long deliberations were frustrating, probably from other jurors with woowoo affinities. Since Young treated cancer patients, I wonder if the prosecution characterized them as patients with a condition that poses the “risk of great bodily harm,” but I think this might be hard to do without demonstrating that baking soda ain’t going to cure cancer. I am under the impression that California’s poorly worded Health Freedom Act protected Young from additional convictions. @HomeopathicDana @6x10E23 @Jinzang weird that you are proud of this BS law. Thus, if Robert O. Young had earned an ND degree from National University of Health Sciences or Bastyr University, he would be legally allowed to give intravenous injections of baking soda, a common mineral. He could advertise all sorts of nonsense about it too and remain within the confines of the California Naturopathic Doctors Act. Indeed, here is an example of one California naturopathic clinic advertising intravenous baking soda, plus a slew of other dubious treatments, such as high-dose vitamin C, homeopathy, and chelation therapy. In Arizona, it is even more hairy. 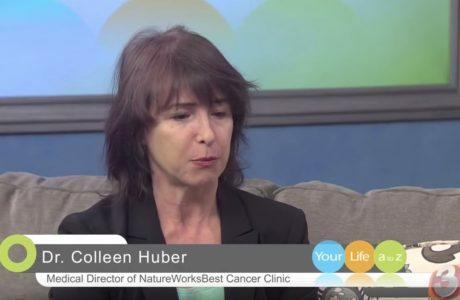 Colleen Huber, a prominent naturopathic “oncologist” in Phoenix, is a big proponent of using intravenous baking soda to treat cancer. Her practice site and the site for the IRB she runs are good reads if you want to learn about a serious wrangler in the Wild West of Naturopathic Medicine. I cannot comprehend how she claims a 90% success rate in treating cancer. Colleen Huber is really incredible at curing cancer! Yea, right. How is what Robert O. Young did different from what Colleen Huber does? Does she know how to administer baking soda more competently because she went to Southwest College of Naturopathic Medicine? I find it hard to believe that Huber is any more medically qualified than Young given that she seems to hand out a plethora of highly questionable cancer treatments and claims to be a qualified medical researcher wrapped up in incomprehensible descriptions of disease pathology. Macular Degeneration – European studies have shown major improvements in macular degeneration in about 70% of cases. Probably, to some dissenting jurors in the Robert O. 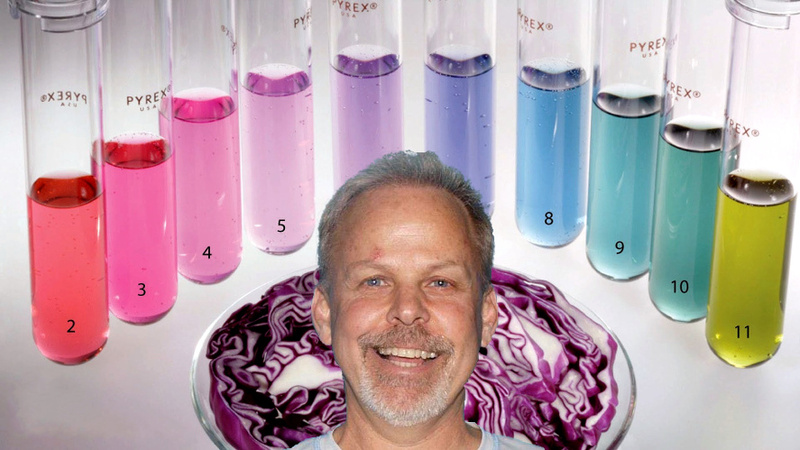 Young trial, these naturopaths make ozone therapy seem like an established treatment that effectively treats a wide range of health conditions. To anyone who is reasonable, these naturopaths seem totally out of their league, as they exhibit a gross misunderstanding of medicine, research, and, yes, reality. Interestingly, naturopaths who have practiced or continue to practice ozone therapy in California have broken state law. Ozone is a gas, which is not a substance permissible for administration listed in the California Naturopathic Doctors Act. I think it is unfortunate to wait until a patient is harmed from ozone gas at the hands of a licensed naturopath, as regulators are obligated to view ozone therapy as an incriminating act for California’s naturopaths. California NDs can get special training in ozone gas from other naturopaths, but they don’t seem to know that it is illegal. 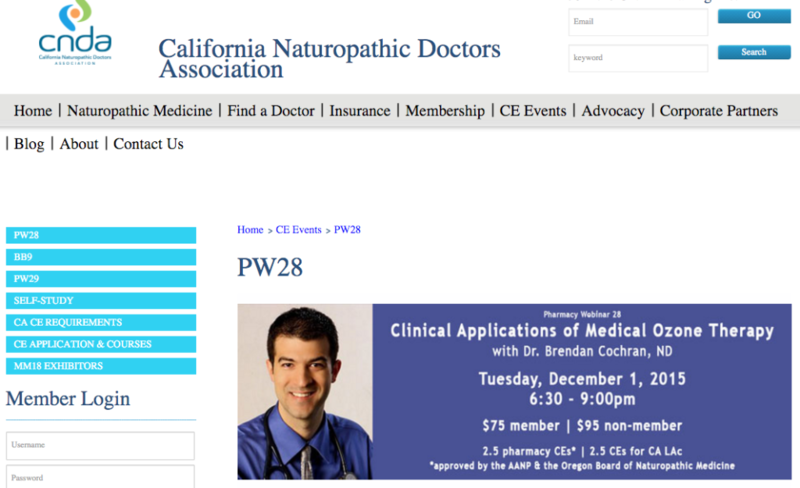 California has a problem with its licensed naturopaths. Despite there being clear evidence of California NDs using ozone therapy in their practices and professional endorsement of this illegal therapy, medical regulators have not been proactive in protecting the public. They should take immediate action, otherwise, it is a tragic disservice to Californians to let licensed naturopaths blatantly practice outside their legal scope of practice. Young’s conviction indicates that when clearly defined parameters of the law are broken by alternative health care practitioners, there can be sound legal recourse even if dwarfed by gross moral transgressions. Young was snagged on his sticking needles into patients’ bodies but not on grand theft. Had the Heath Freedom Law been written a bit differently, it may have been easier to demonstrate criminal activity that would be commensurate with his intent and actions. Perhaps one day California’s licensed naturopaths will be taken to task for breaching their legal scope of practice when they inject toxic gas into patients’ veins. Given the way the California Naturopathic Doctors Act is written, this legal avenue seems like an obvious way to protect the public. Sadly, however, nothing in the law prevents California NDs from practicing a wide-range of other extremely questionable treatments, and no one should have the confidence that the state’s naturopathic board will act beyond the professional interests of its members. Until the laws are changed, Californians will continue to be vulnerable to exploitation by licensed naturopaths, who sometimes look no better than a “pH Miracle” maniac.